This ladies portrait collar women&apos;s blouse with imitation pearl buttons and French seams is the ideal addition to any country clothing outfit. 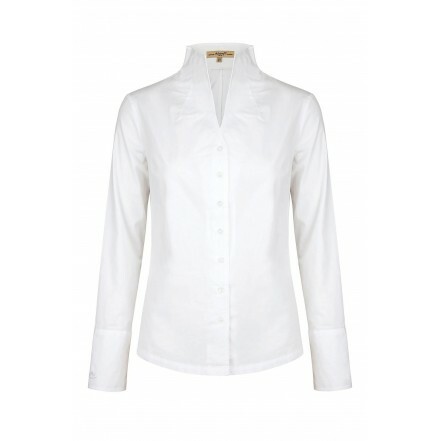 This blouse is the perfect companion for any of our Dubarry ladies tweed jackets and tweed skirts. • Fine quality shirt-making with clean finished hem. • Barrel cuffs with buttoned sleeve placket. • Embroidered Script logo on cuff. • Double needle topstitch detail.